After last week’s rainy and cold weather, Summer seemed to be back this weekend. 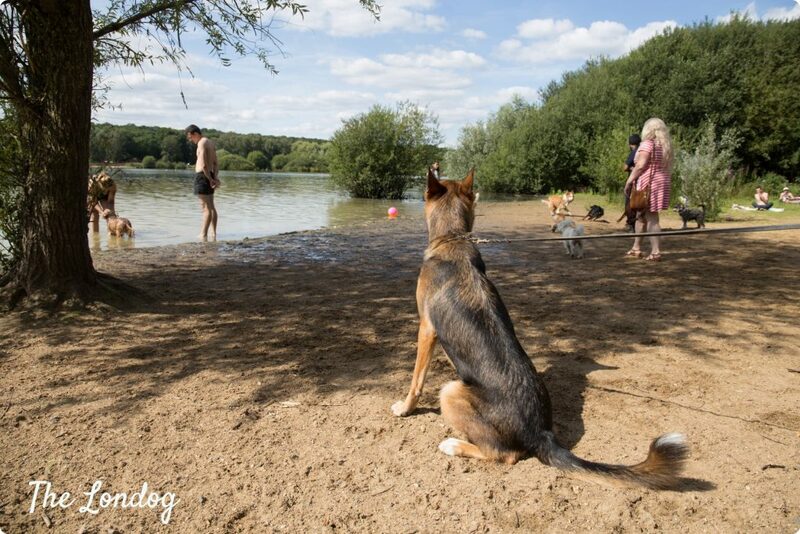 So we decided to put a checkbox on a long awaited trip to Ruislip Lido’s dog beach. 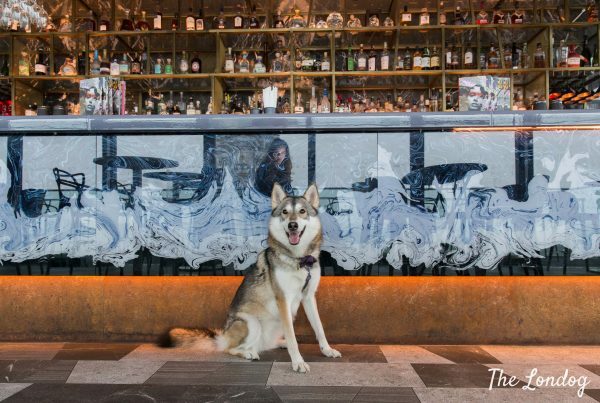 The only dog beach we are aware of in London. Here is all you need to know to plan your own visit. Your dog will thank you for that! 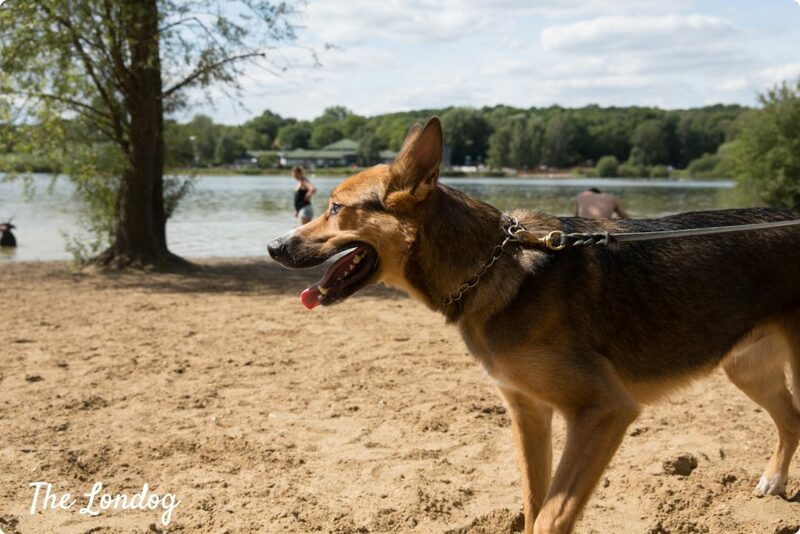 Ruislip Lido is a dog-friendly place. 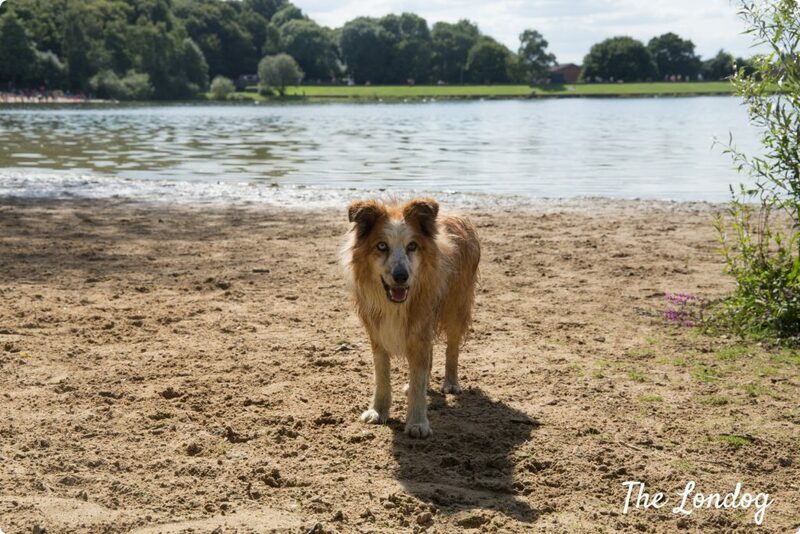 Although dogs must be kept on a lead in the area around the Lido and are not allowed on the beach used by the general public, if you walk past the Woodland Centre you will find, as a partly separate area, the dog beach! 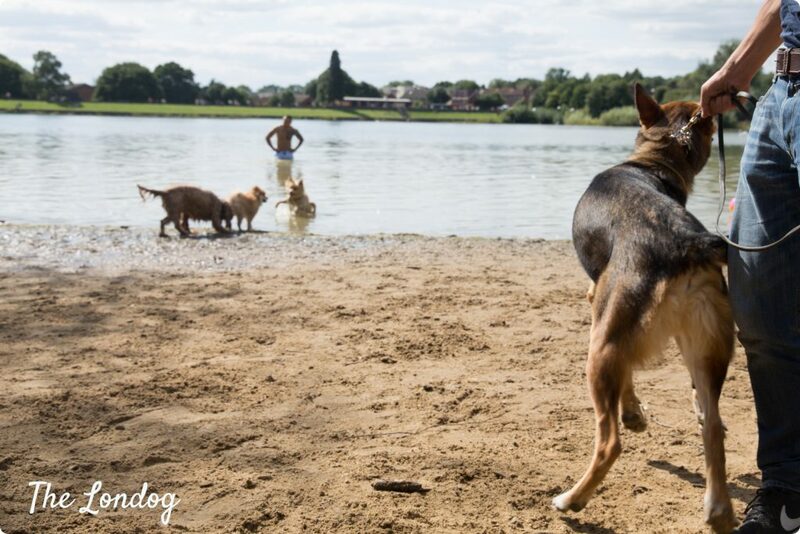 We met many happy dogs having fun and running in and out of the water, playing with balls and sticks or chase-game. They were having a blast! And their owners were chilling out on the beach or bathing. At the dog beach, apart from the sandy foreshore, there are trees and bushes, where you can find some shade for you and your dog. The dog beach is not enclosed, although there is a wooden fence which partly marks the border with the general beach. On the back of the dog beach there is a footpath and bikes encounters are likely. The water edge can be a bit muddy and slippery, which is something to keep in mind when choosing which shoes to wear (or you can just take them off if the weather is warm as today) and walking on the shore. 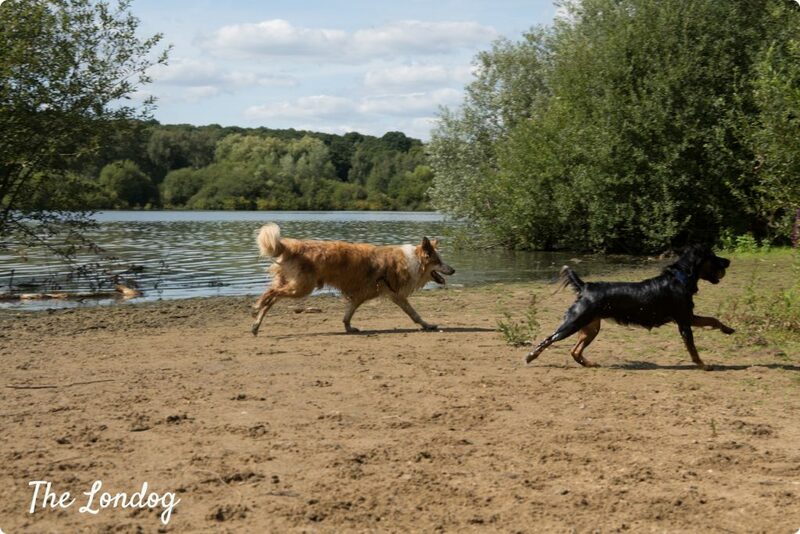 Before or after your visit to the dog beach, you can also enjoy a walk in Ruislip Woods National Nature Reserve. Here you can find some suggested route walks (link to Hillingdon Borough’s dedicated webpage). We had a nice walk in the woods going back to the tube station and it was lovely. 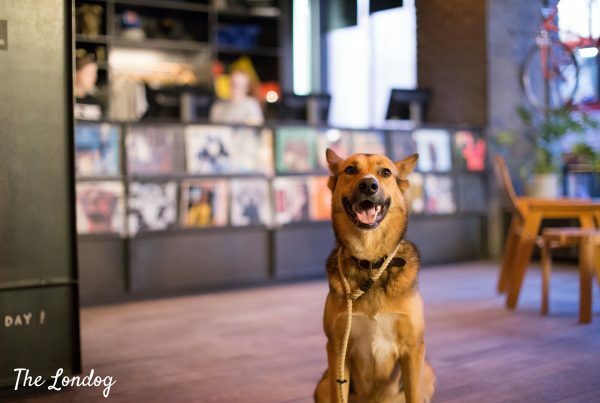 4 things to make the most out of your visit? 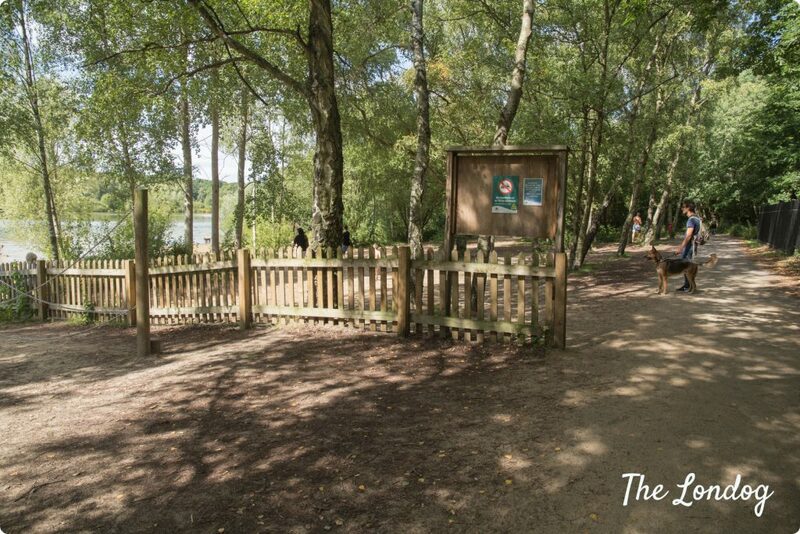 If you travel by car, you can leave it at the car park of Ruislip Lido. However at busy times you won’t be able to find a car space there and you could find a congestion (today we got stuck on the bus just before Ruislip Lido’s stop for ages because of the traffic jam). If – like us – you travel via public transports, you can reach Ruislip Station with the Metropolitan or the Picadilly Line and then take the H13 bus right in front of the station. It is a ten minutes ride to Ruislip Lido. Alternatively you can walk there (it is probably half an hour or so) and enjoy Ruislip Woods (there is a path starting from Sherwood Avenue which will take you very close to the beach). We did it for coming back from the Lido and it proved a very enjoyable stroll. We went there today all the way from West Norwood because of this article and met the dig on the second picture ?? Haha! No way! So funny. You make it look like a clean beach with no dog poo/wee. Is it? My experience of dog only areas is that they smell of wee and that the owners aren’t always poo responsible! Hi Michelle, it may be some good 10 minutes walk, maybe a bit more. 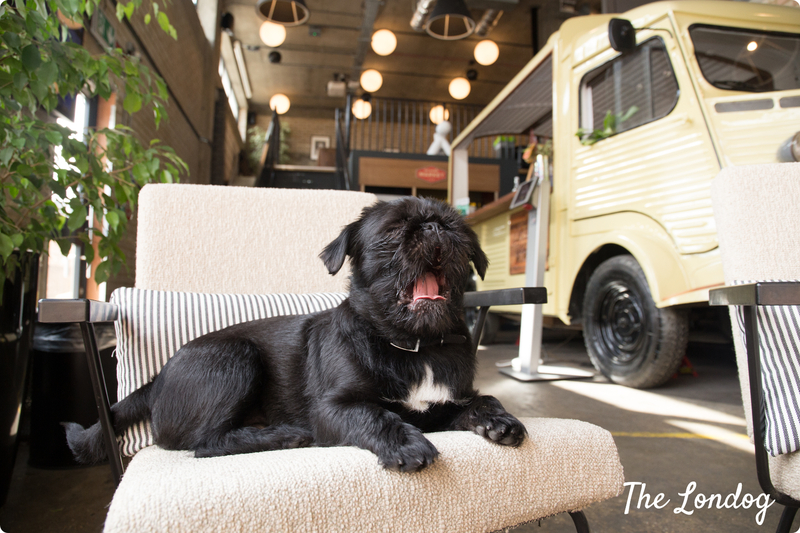 If you don’t go on a busy day you may take the miniature railway from the station by the car park with your dog and get off at the other end which is near the doggie beach (you can find a review of it in our blog about Ruislip Lido Railway). But note that it normally only works on weekends only (you can find the full timetable’s link in the blog post) and in the Summer the car park apparently becomes full very early and outside you risk a ticket for parking. So it may be worth going early or on not busy days. Hiya. Is the doggy beach on the side / edge of the main beach near Woody Bay Station? So, if Clover and I take the railway train from Willow Lawn to Woody Bay, we can get off and walk to the doggy beach? Before heading back to the H13 bus-stop to get the Ruslip station on the Met line? Thanks! Hi! 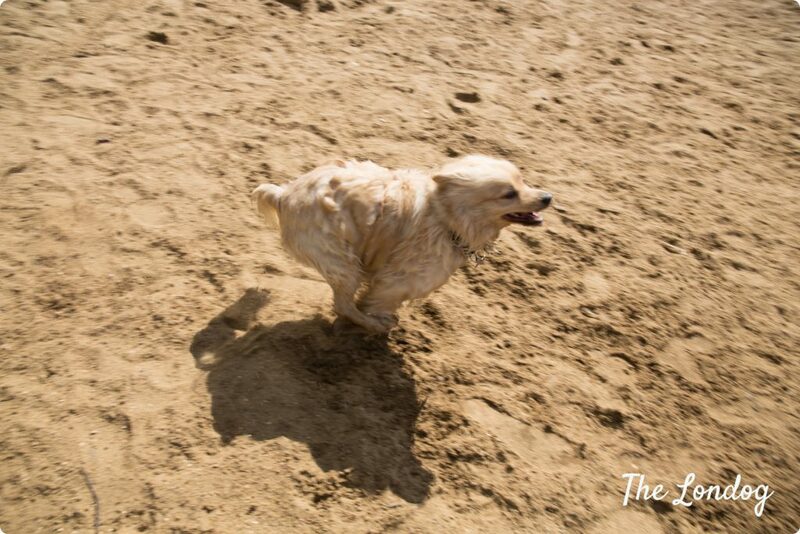 Yes, the doggie beach is a couple of minutes walk from Woody Bay miniature railway station. Hi , I visited yesterday with my GSD , great place . We parked on the main road and walked through the woods and entered through a gate behind the beach cafe . Will definitely be back ! Hi Victoria, wonderful! Thank you for your note. It was also a wonderful day, so I imagine your dog must have had a lot of fun!